When you attend JordanCon, you are not just going to an event. You are joining a community. The event lasts three days, but the bonds that are formed are ongoing. We stay in touch year-round via social media and informal meet-ups. Our family has shown amazing compassion and jumped in to help when a member of our community needed it. This is why we sell Memberships to JordanCon and not Tickets. You are not merely attending an event. 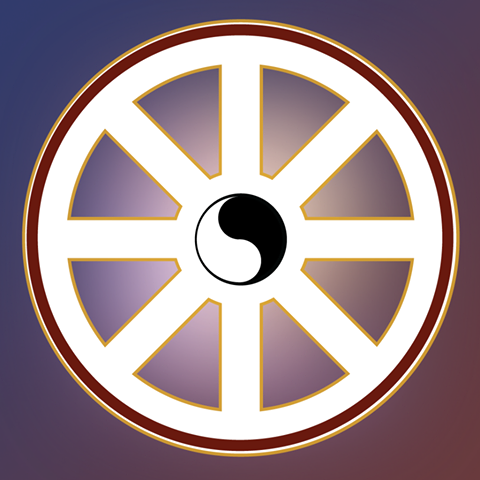 You are joining our community. Our Con Chair, Jennifer Liang, started wearing a tiara while president of the Southern Fandom Confederation. Other people admired it, so she encouraged others to wear one too. 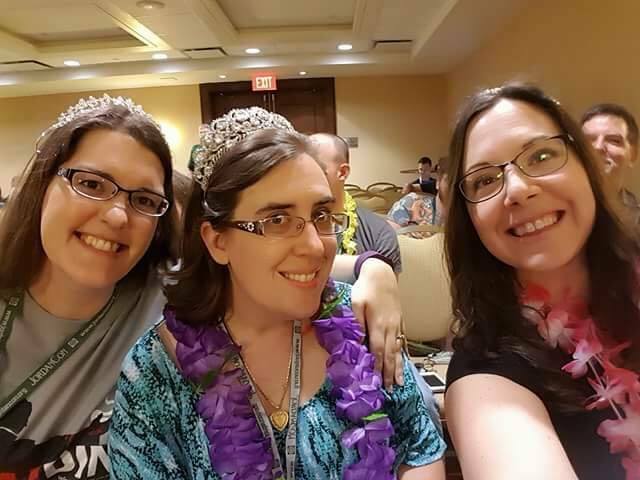 Lisa Sommerfeld does a radio show called “Tiara Time” and asked if she could bring it to JordanCon. The two ideas conflated together into one giant, sparkly mass. This has really taken off- our members buy or make new tiaras, share photos throughout the year, and we take a group photo during the event. A handful of our members enjoy wearing kilts at the convention, and this has also evolved into a group photo. What’s the deal with the hot dogs? Traditionally, during Saturday’s lunch, we serve hot dogs and they run out FAST. In 2017, our ConSuite Director ordered about double the amount of hot dogs from the year before. What we did NOT know was that our supplier switched from regular sized Nathan’s hot dogs to foot long giant hot dogs. Because of this change, people were only eating one hot dog instead of the usual 2 or 3. We had so. Many. Hot dogs. So. Many. Yes, these are THE actual Hot Dogs. 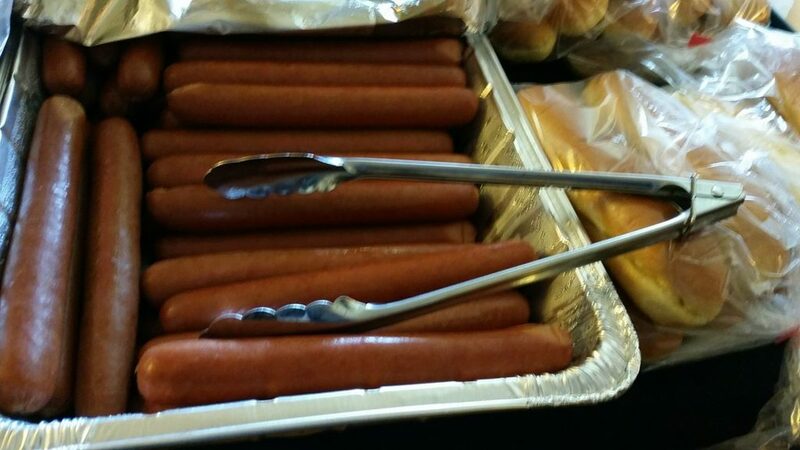 Hot dogs come in metal catering trays of hot water. That basically turns into hot dog soup after a while. The entire ConSuite smelled like hot dogs, which seeped into the hallway and then the hall smelled like hot dogs. We were serving hot dogs all day every day. It smelled like hot dogs all day every day. We could not escape the hot dogs. People were sent home with zip lock bags filled with hot dogs. You could not escape the hot dogs. Everyone made so much fun of the hot dog situation that the theme infiltrated our escape room. People began writing hot dog/escape room fanfiction. Hot dogs are now a “thing” and we are pretty sure that if we fail to serve them one year, chaos will ensue. The Ribbonsanity began when our Vendor Hall Director, Paul, was trying to collect all the badge ribbons that we had (which was not many). Our Co-Chair, Jimmy, created the “Spouse” badge ribbon to taunt him because that was the only ribbon he could not acquire. If Jimmy can create a “Spouse” ribbon, lots of other people can create lots of other fun ribbons, and it really just built from there. JordanCon has a robust nightlife. Karaoke on Fridays, a huge dance party on Saturday. Our dance party has been crashed by a bar mitzvah AND a prom. 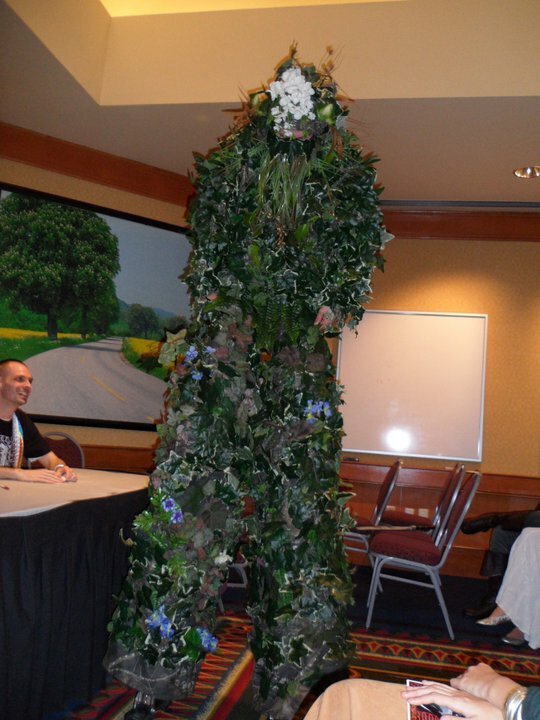 Truly- there are people out there with prom pics of them in fancy dresses posing with The Green Man. Room parties, board games & lots of hanging out. Shenanigans abound! The Gaming Hall is basically never empty, though you can always find a spot to play! Start your own game, or ask someone if you can join them. We host a Poker Tournament on Friday night and a Magic the Gathering tournament on Saturday. You can usually find someone playing Dungeons & Dragons, or several other RPGs. If you are into Star Wars X-Wing, we’ve got a cool setup for the Trench Run. JordanCon, Inc. is a tax exempt 501(c)(4) nonprofit that is proud to support the Amyloidosis research fund at the Mayo Clinic. Since 2009, JordanCon has raised nearly $30,000 for this cause. Check out our Charity page for more information.